LASIK is a acronym that stands for laser-assisted in situ keratomileusis, which basically means laser-assisted corrective eye surgery. The procedure entails reshaping the cornea so that light traveling through the pupil appropriately focuses on the retina at the back of the eye. 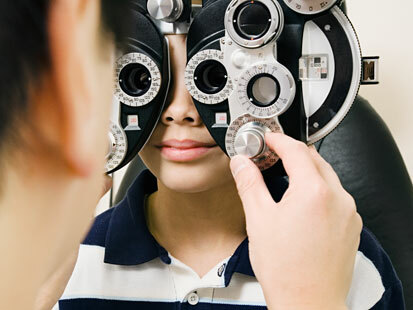 Surgeons regularly perform the popular procedure to correct astigmatism, far-sightedness or near-sightedness. The entire procedure requires approximately 15 minutes for each eye. LASIK also does not require stitches or bandages. The degree of vision correction depends on the severity of the abnormality and ranges from a decreased level of prescription eye wear to no longer needing glasses or contacts. Changes made to the cornea during the procedure are not reversible. The surgery is extremely complex and difficulties may arise when the surgeon creates the flap, which can permanently affect vision. Patients must refrain from wearing the gas permeable contacts for a minimum of three weeks prior to the consultation. Other contacts cannot be worn for up to three days before the appointment. Clients must also bring a current pair of prescription eyeglasses to the visit. During an initial consultation, the physician acquires a complete medical history of the patient. The practitioner then performs and extensive visual examination that evaluates corneal thickness, corneal mapping, refraction and the extent of pupil dilation. The surgeon then explains the procedure and answers questions. On the day of surgery, patients may eat a light meal and take any prescription medications. Clients cannot wear eye makeup or bulky hair accessories, which may prevent proper head positioning during surgery. The surgeon initially applies anesthetic eye drops into the affected eye. After approximately 10 minutes, using a microkeratome, also known as a femtosecond laser, the surgeon creates a thin flap, which the physician gently peels back to access the corneal tissue below. Assisted by a different laser, the surgeon then carefully reshapes the cornea. Completing the surgery involves placing the flap into the original position. The affected eye experiences temporary dryness. However, the surgeon supplies the patient with eye drops that prevent infection and inflammation while adding moisture. The drops may burn momentarily and cause blurred vision. The patient must not use any other drops not provided by the physician. 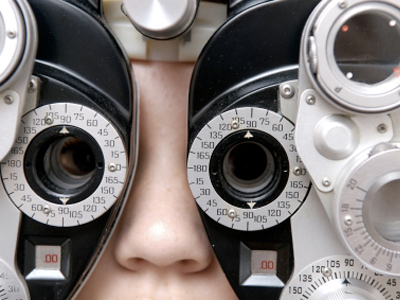 Vision might initially appear blurry or hazy during the first day. However, despite this effect, patients notice a greater degree of visual clarity within the first one to three days. Healing occurs rapidly. Surgeons typically require that patients return within the first 24 to 48 hours for a follow-up evaluation. Clients must also attend the recommended number of appointments for the first six months after the surgery. The expense of having surgery largely depends on the type of procedure being performed. When undergoing Traditional LASIK surgery, the lasik costs per eye averages around $1,670. The cost of Custom LASIK averages around $2,000. Custom LASIK using Intralase averages $2,250 per eye.